The Developer Yohei Iwasaki also wrote the apps listed below, click the icon to visit the pages. Move Mr.Papi (red ball guy) and let him eat more hamburgers! Touch the bottom of the screen (by default) to move him left and right. 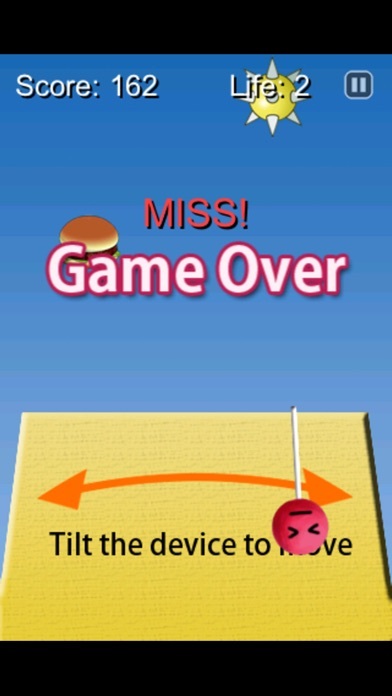 If he gets hamburgers continuously without missing them, the 'combo' counter increases and you can get more score. The Earth has been attacked by strange Orange creatures! This is a classic 2D shooter. 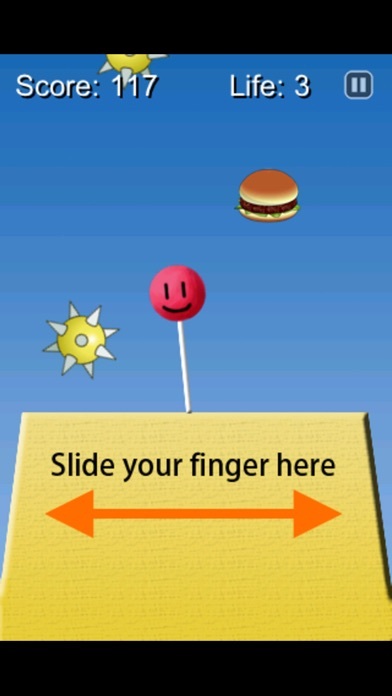 Slide your finger anywhere on the screen to move Mr.Papi so that he destroy all the Orange creatures. - If you destroy the enemies faster, you can get more scores. - If he gets a heart item, his extra lives increase.